U.S. Secretary of State Pompeo’s visit to Beirut ended with a clear message to Lebanese leaders: stand up to Hezbollah. He accused Hezbollah of inciting “criminality, terror, and threats” and warned that "Lebanon and the Lebanese people face a choice: bravely move forward as an independent and proud nation or allow the dark ambitions of Iran and Hezbollah to dictate your future." Pompeo’s position was considerably more pointed than that of his counterpart, Lebanese Foreign Minister Gebran Bassil. Bassil rejected U.S. claims that Hezbollah is a terrorist organization and defended it as a democratically elected political party. Hezbollah’s role in Lebanon has come to the forefront of debate since the nation held parliamentary elections last May. The organization made significant legislative gains, assuming 70 of the 128 seats in parliament and gaining control over three cabinet positions. This political transition put the head of the new government, Prime Minister Hariri, in a difficult situation. Hariri supports a secular Lebanon and has upheld friendly relations with the U.S., while Hezbollah opposes Western influence in Lebanon and calls for Islam to play a greater role in the country. Hezbollah’s militant wing has been active in challenging Israel and supporting Iranian allies in Syria and Iraq, receiving ongoing military and financial support from Iran to do so. Many Western nations, including the U.S., characterize Hezbollah as a terrorist organization. U.S. pressure on Lebanon to curb Hezbollah’s rising influence comes amidst new sanctions imposed on Hezbollah’s ally, Iran. While Pompeo and Bassil met in Beirut, the U.S. Treasury Department announced sanctions on Iran’s Organization on Defensive Innovation and Research, known as SPND. The US has accused SPND of actively training new nuclear scientists in support of Iran’s nuclear program. Such activity would challenge the Trump Administration’s efforts to curtail Iranian ballistic missiles and nuclear capabilities. 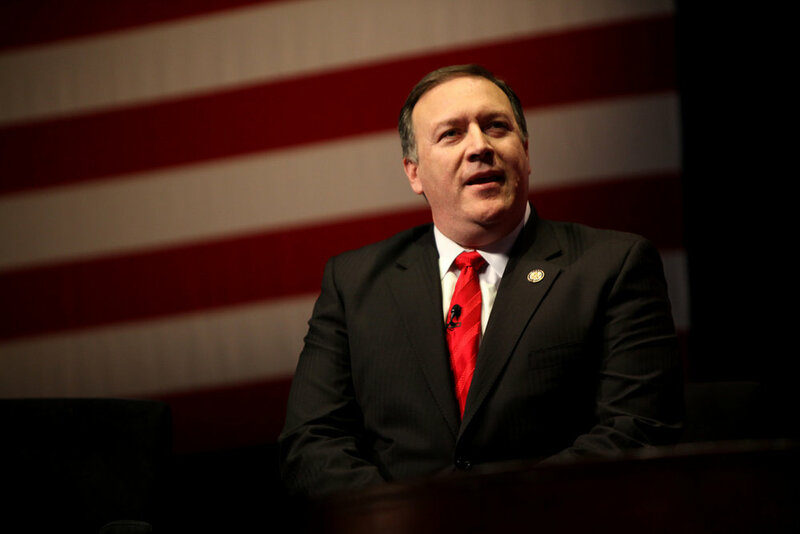 Pompeo voiced confidence to Lebanese leaders that U.S. sanctions have been successful in limiting Iran and Hezbollah. Pompeo’s meeting in Beirut marked the final stop in a Middle East trip meant to shore up support for U.S. pressure on Iran. The trip began with a visit to Israel, where the Secretary of State met with Israeli Prime Minister Netanyahu on at least three separate occasions. Together, Pompeo and Netanyahu visited the Western Wall in Jerusalem’s Old City in a symbolic gesture of U.S. support for Israel in Jerusalem, which is contested between Israelis and Palestinians. The Trump Administration has increasingly shifted the role of the U.S. in the Middle East from a neutral peace broker to a force furthering Israeli interests and challenging those of Iran.